I am not your savior. I am at the most your friend. It is just your kindness to call me your master. As far as I am concerned, I am not anybody’s master. That word is connected with the slave, with the servant, with dependence. I am just a fellow traveler. Just a little bit of difference, of course – that you go on walking with closed eyes and I go on walking with open eyes. Any moment you can open your eyes, nobody is preventing you. It is your decision to keep them shut. It is going to be your decision to open them. All that I can do is go on gossiping to you. Mind the word ‘gossiping’ – I don’t use the word ‘gospel’. That I leave for Moses and Jesus and Mohammed. I go on gossiping to you about the beauty of the world, of the stars, of the sun, of the moon. Perhaps, listening continuously to my gossips about beauty, you may open your eyes, saying “Let me see….” Perhaps there are no stars, no sun, nothing, but your eyes will be open. You will be grateful to me, but not dependent on me. Just two days ago, one beautiful person, a journalist, was asking me, “People in the outside world think that you are not truthful, that you are not honest, that you are deceptive, that you cheat.” He was thinking I would be offended. I am not honest, because if I am honest you are going to sleep forever. I am deceiving you. I am talking about glories, and blissfulness, and blessedness. Sooner or later you are bound at least to open one eye and see, just out of the corner, whether these things are there or not. My work is done! You may not find the things that I have been talking to you about, but you will find far more glorious, far more blissful experiences. And I am not truthful because truth cannot be expressed in words. What can I do about it? At the most, I can use lies which will make your eyes open. One thing I am certain of: once your eyes are open, you will know why I was lying. You will be grateful that I lied to you, that I was not truthful, because you will know that truth cannot be expressed in words…. The journalist looked at me: he could not believe that I would accept all these condemnations. But they are not condemnations – they are simply descriptions of a real master. 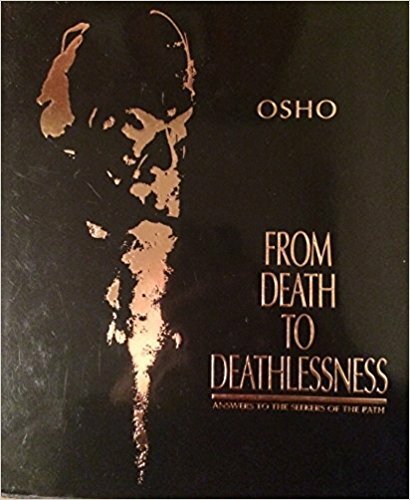 To disengage from the wheel of existence, mind must be taught continuously to experience the emptiness until sensuality is extinguished from the habitual whirlpool and force of nature…giving up everything to the point where death has accurred consciously in the process of renunciation. Traveling on this path, one forgets the past and therefore future does not arise in mind, mind becomes tranquil and sufficient for the moment, experiences bliss. I found this very true and it made me laugh. Thank you.